My sweet girl is doing so great and getting cuter by the day. Of course, I’m a little biased but when everyone else agrees, it must be true. Right? Today, Miss Emery had her first official photoshoot with my go-to photographer Amanda Suanne. She’s done our engagement pics, wedding photos, maternity session and now our baby’s first professional photos. The results are always amazing! Emery had to get nakey for most of the photos and she seemed to have no problem with it. She was even so comfortable she peed on a blanket! She’s already 12 days old and as big as I think she’s gotten since we’ve been home, she seemed so small all curled up for the camera. 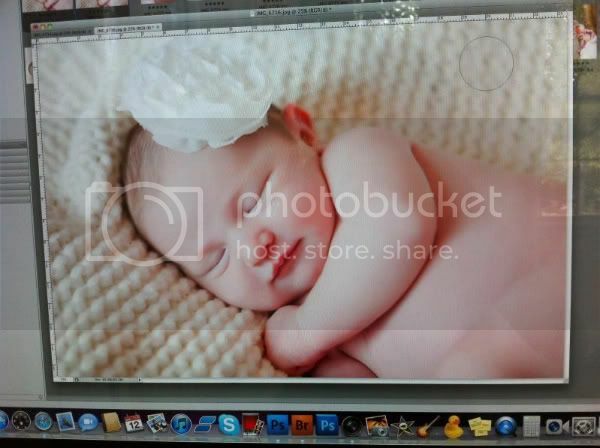 It didn’t take long after her big shoot wrapped before sweet Em was snoozing and squeaking through the afternoon. I guess being the center of attention all the time is hard work. I can’t wait to see all the shots. Within a few hours, Amanda texted me this precious sneak peek which I immediately shared with my mom and sister. I know the rest will be just as adorable. P.S. 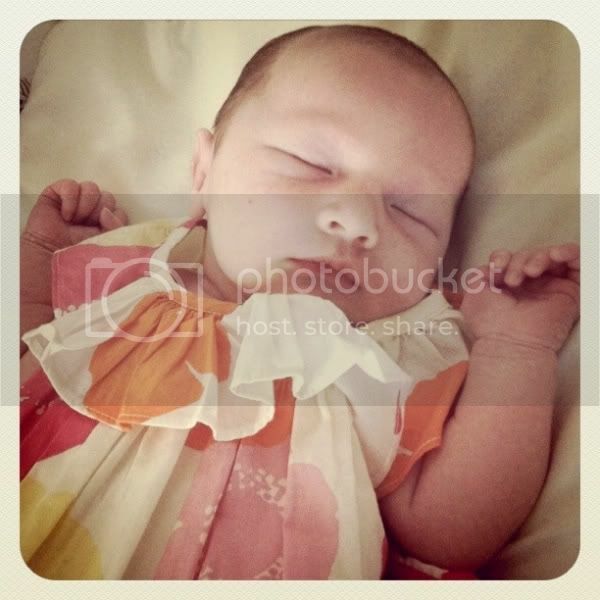 Thanks Sam for her adorable flower dress! She loved it! And thanks to her Grammy for getting her such cute accessories for her big close up! Who doesn’t like a baby with a big flower on her head?